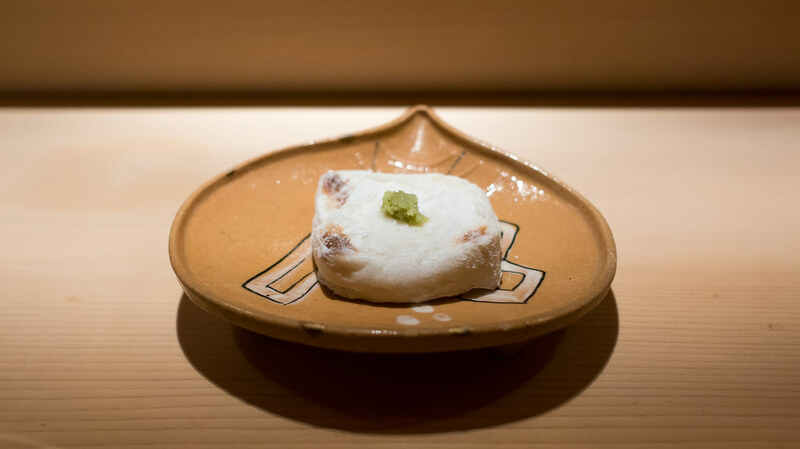 A sashimi course followed, featuring translucent ribbons of hirame (fluke) topped with mounds of karasumi (salted and dried mullet roe, known here as bottarga) and dabs of wasabi. 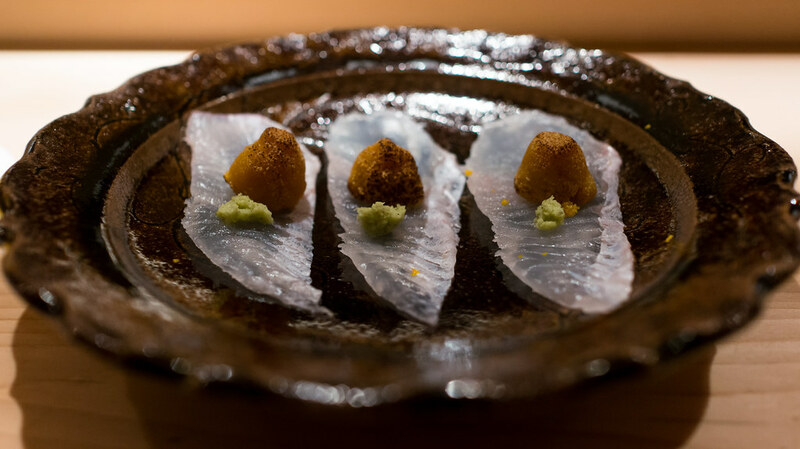 The fish was impeccable – but I found it was overwhelmed by the intensely salty roe. 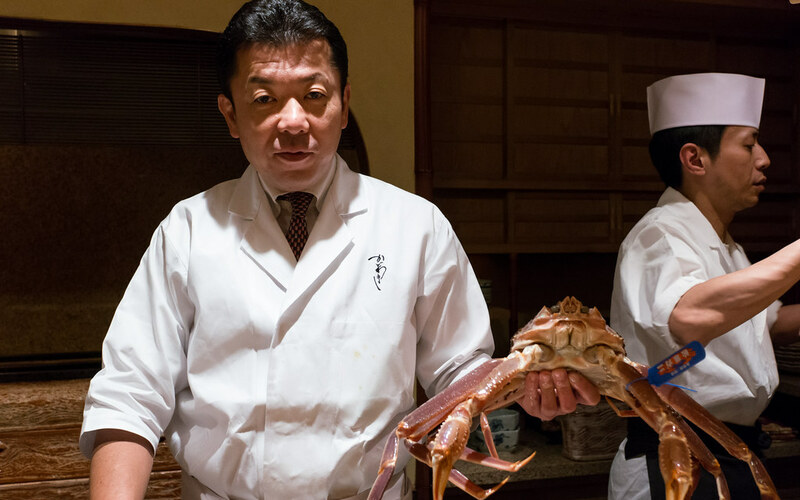 That crab is a tough act to follow. 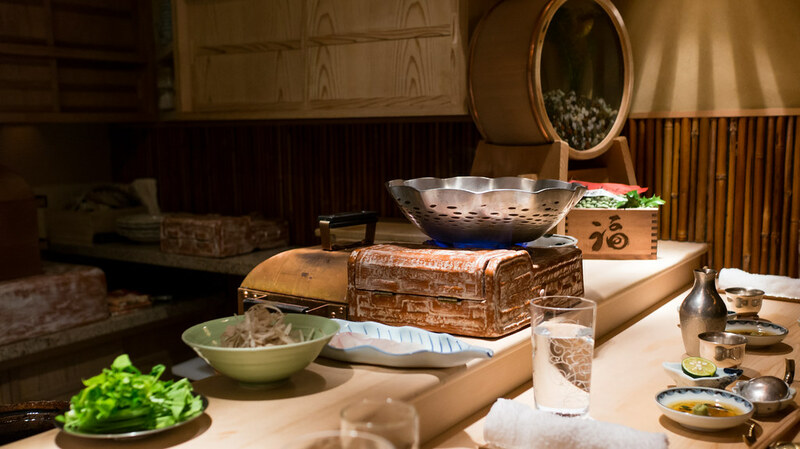 Next is a shabu shabu of snapper, the ribbons of fish quickly swirled at the table in a silver cauldron of bubbling clear broth, then dipped into a ginger-spiked sauce. 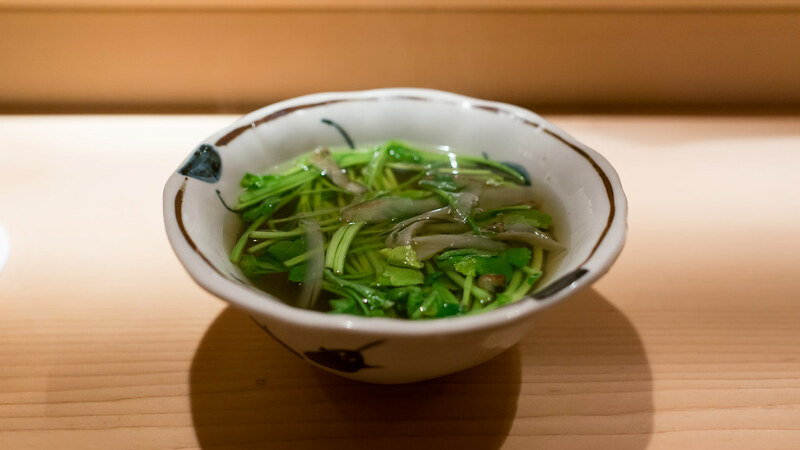 The broth is then used to make a refreshing, light soup supplemented with a generous handful of mitsuba. 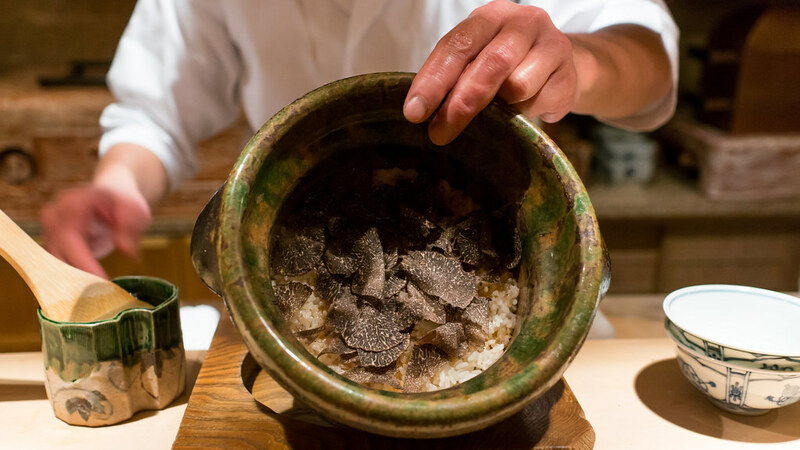 Kadowaki's most well-known dish takes that most fundamental of Japanese ingredients – gohan, or rice – and literally infuses it with French flavor – the perfume of Perigord truffles. 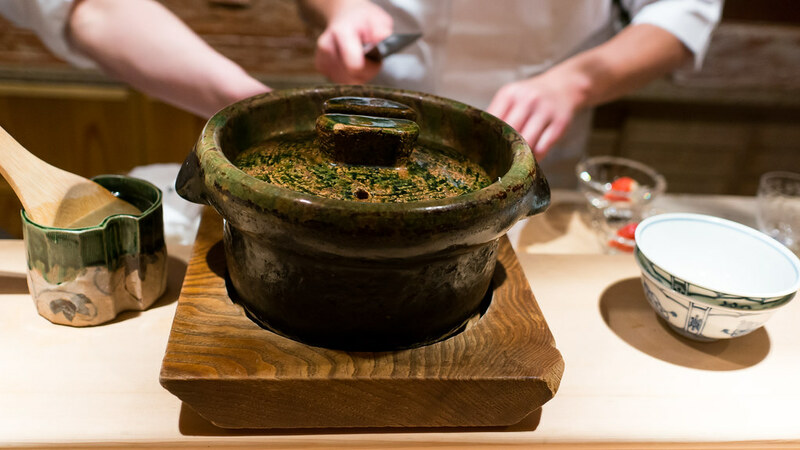 The rice is steamed in a beautiful glazed ceramic pot, and then blanketed with an incredibly generous shaving of "black gold." 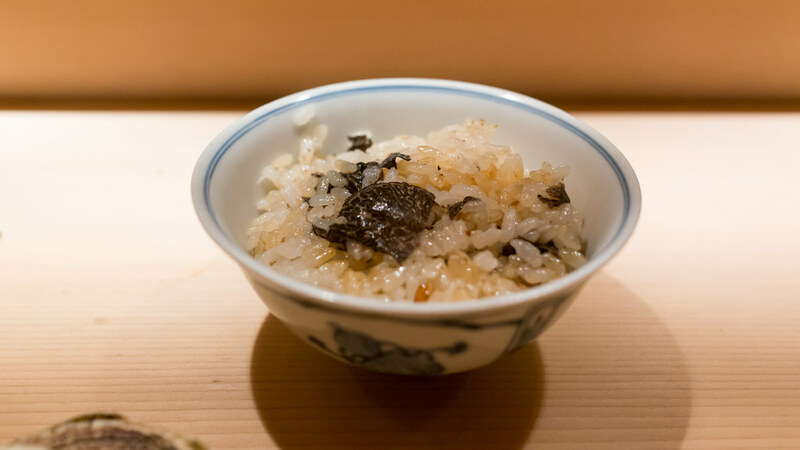 The aroma of the truffles permeates the rice without overwhelming it, and the rice itself is just delicious; despite the extravagance, this remains a dish where the truffle is an embellishment to the rice, rather than the rice being a mere vehicle for the truffle. 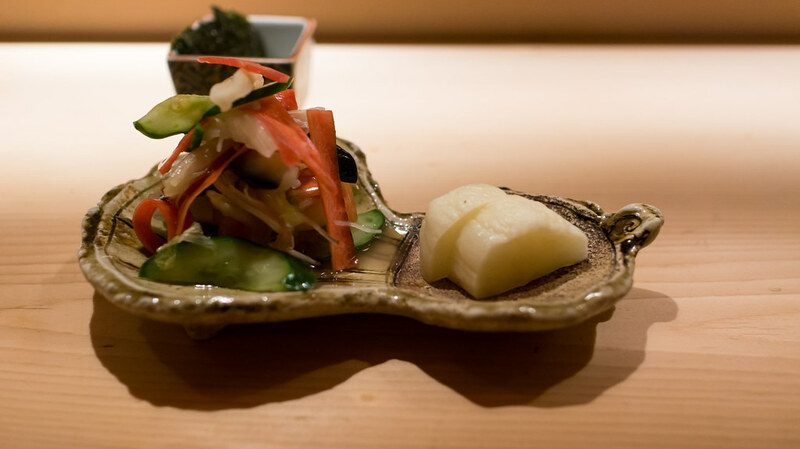 Served with the traditional accompaniment of various pickles, as well as crisp sheets of nori for scooping the rice, this is simultaneously elegant and homey. 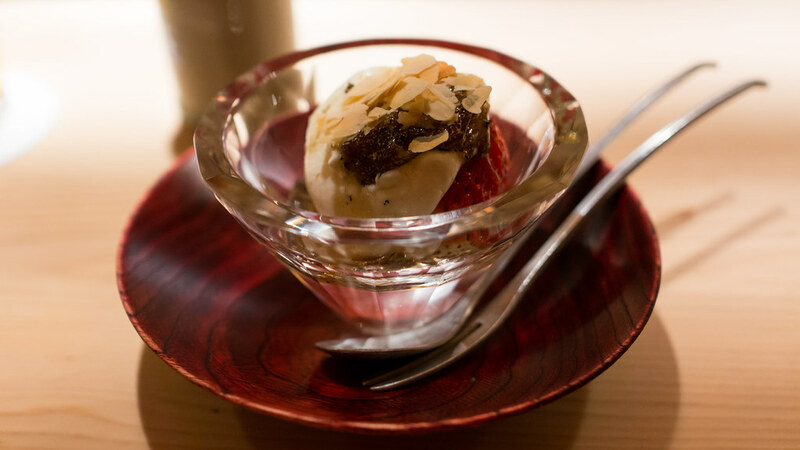 Truffles make yet another appearance with dessert, a crystal bowl filled with sweet, juicy macerated strawberries, rich creamy ricotta, slivered almonds, and truffled honey. 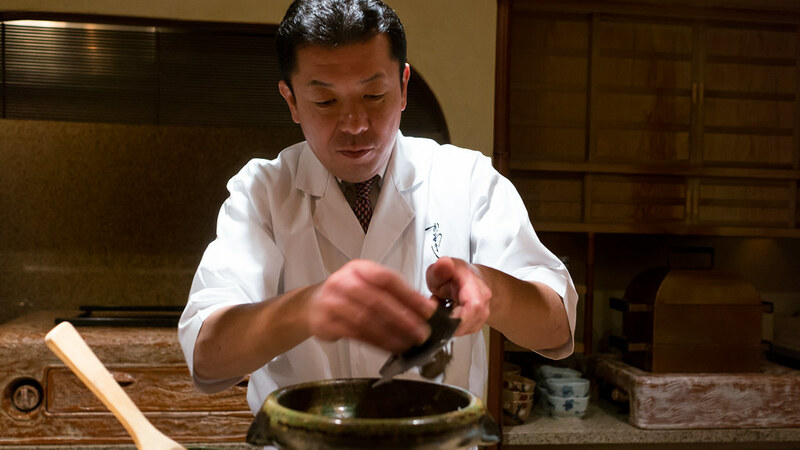 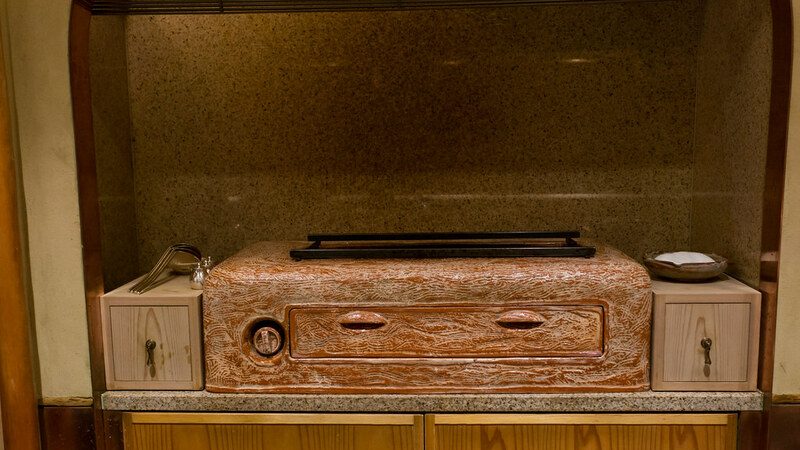 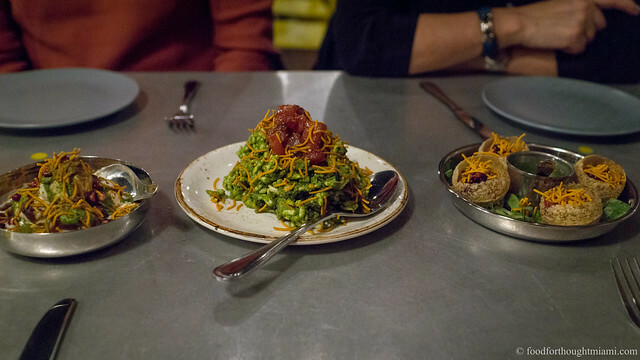 The original progenitors of "fusion" cooking, like Jean-Georges Vongerichten, "borrowed" Asian flavors while adapting them to their own (predominantly French) cooking methods. 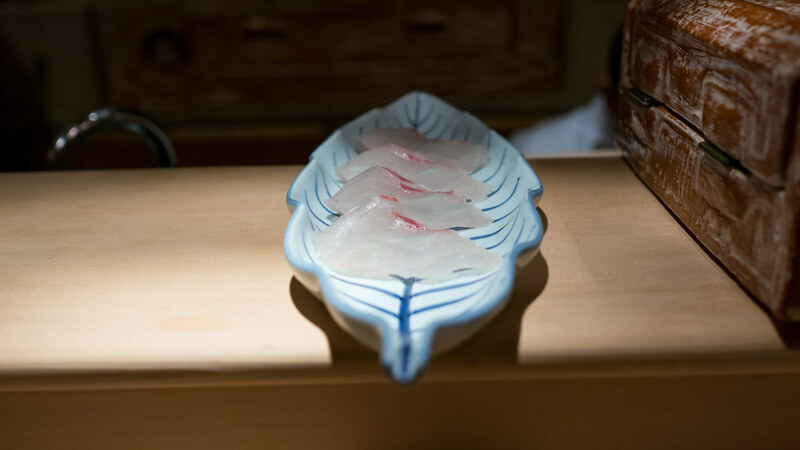 Kadowaki seems in some senses like the same thing, viewed through the opposite end of the prism. 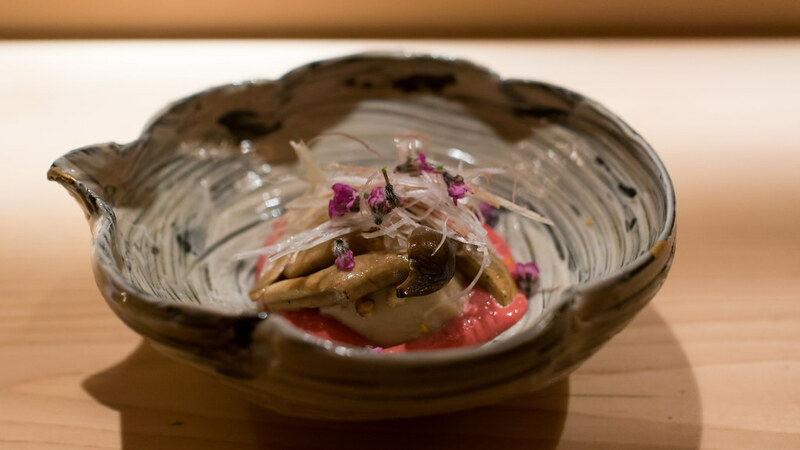 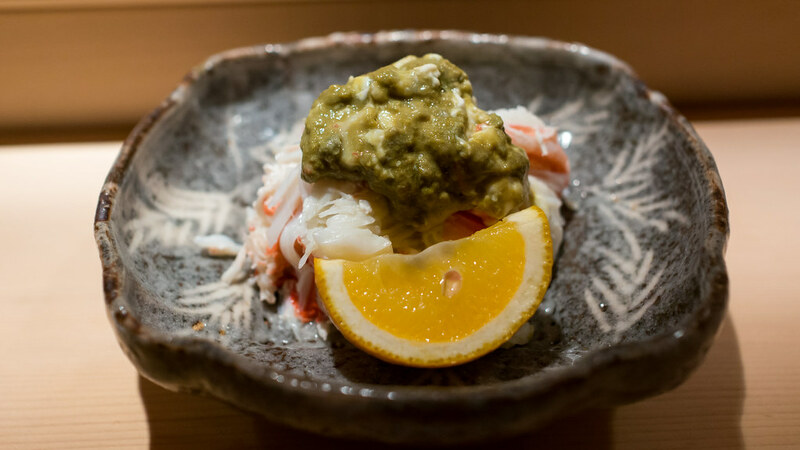 Though the cooking – and even the plating – incorporates Western components, the style, the progression, the preparation methods, and most of all, the subtle and understated elegance of the meal at Kadowaki all speak clearly of a Japanese sensibility. 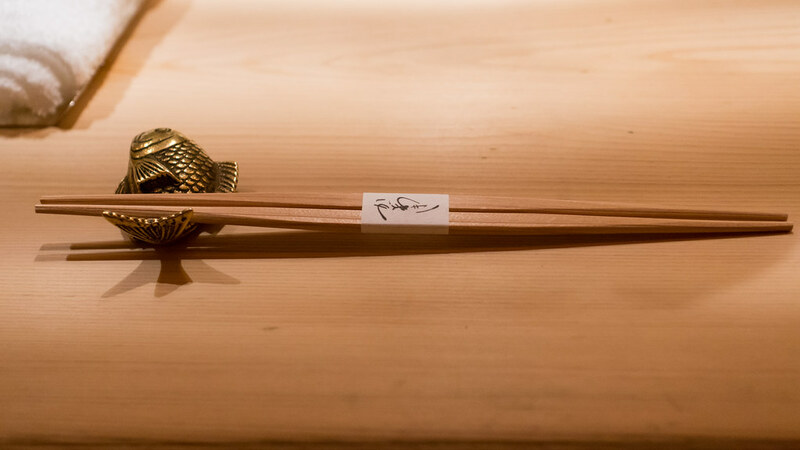 For further reading: "Made Better in Japan" from a couple years ago in the Wall Street Journal. 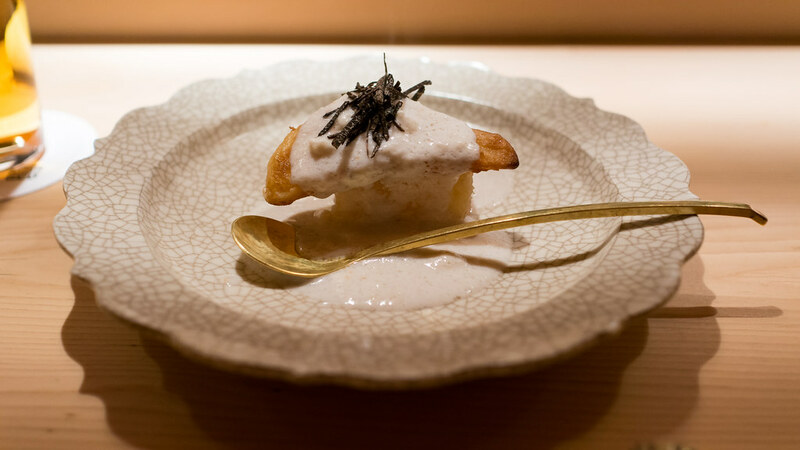 This was one of the real revelations of our Japan trip: just how delicious great plain rice can be.